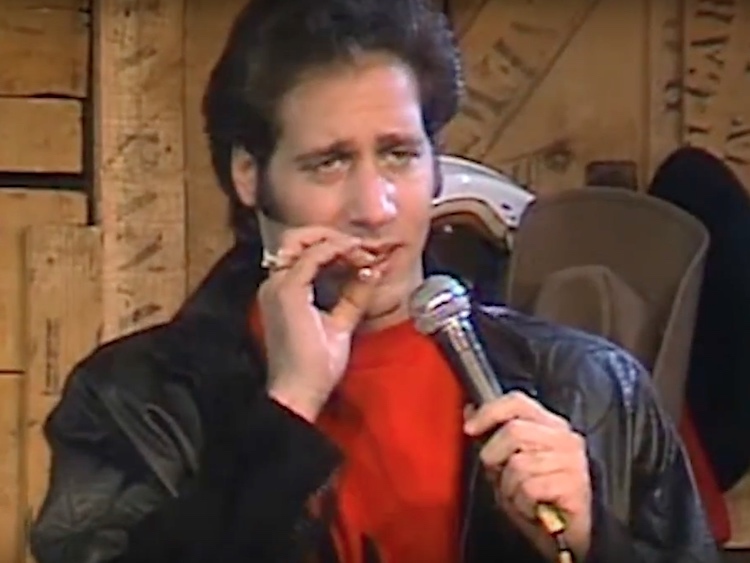 AIDS was often used as a punchline because it was seen only as a gay disease, and therefore warranted ridicule from comedians such as Andrew "Dice" Clay and Eddie Murphy. In memory of those lost to the AIDS crisis on today's World AIDS Day, we're revisiting a powerful short film made for Out from Harmon Leon and Scott Calonico that examines the representation of AIDS in the media during the nightmare decade of the 1980s. While President Reagan refused to even utter the disease's name in public, thousands were dying nationwide, but sitcoms and comedians still managed to make light of the situation. These jokes were born out of not only ignorance, but most likely a fear of the unknown. As the reality of AIDS sunk in, the jokes stopped, and many sitcoms dedicated "very special episodes"—Designing Women and The Golden Girls immediately come to mind—to frank discussions about the epidemic. But this short reveals the callousness with which the media treated the gay community and people living with HIV/AIDS before events like the first World AIDS Day on December 1, 1988 began to change the narrative around AIDS and the public's perception of it.